You did get around, TSG. A bit of this is familiar as can be, a lot of it is not, and another little bit is . . . really? Nice music choice, too, for a Sunday morning viewing. One question - a pic shows a bunch of rocks or stones or parts of a rocky wall or whatever, and many are numbered. What was/is that? Are those just the years of graduation for kids from some local high school who pay way more attention than usual to placement and font continuity? Your intuition re: the numbered rocks/stones/rocky wall is quite correct. Apparently the practice has been going on since 1920. 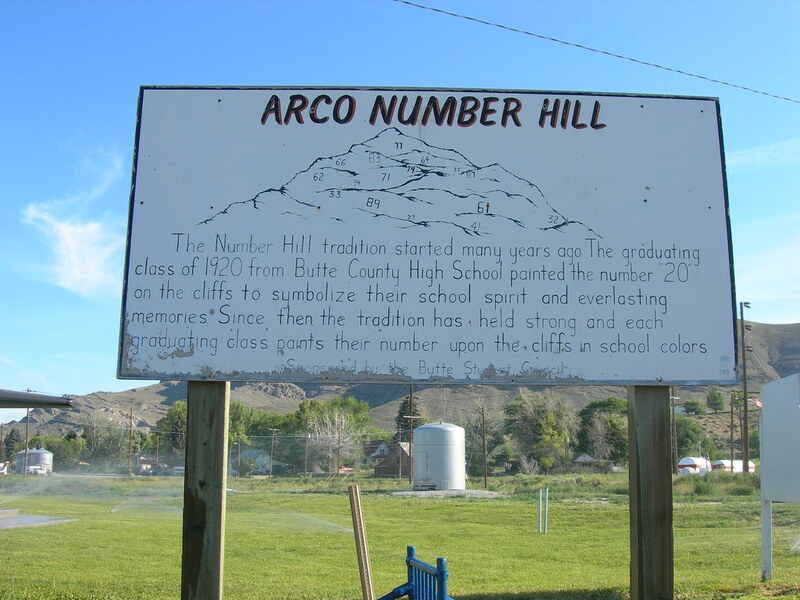 It's referred to as "Number Hill", "Hill of Numbers" and "Graduation Mountain" on various websites...and a little more investigation came up with an image of the "Arco Number Hill Sign". I'm kinda bummed out that I didn't see that during my brief stay. Seems like kind of a lame tradition when it's so orderly and condoned. Like, rebellion in a can, or something.